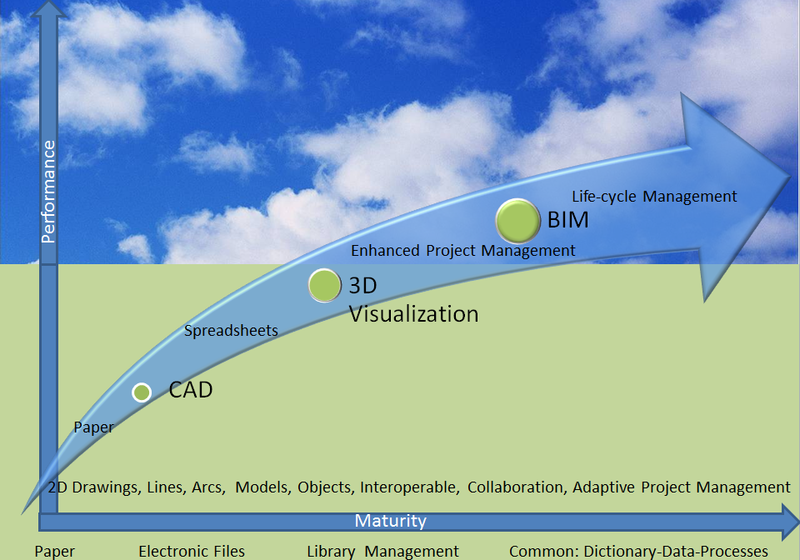 BIM Collaboration – Fact or Fiction? As members of the AECOO1 Community and stewards of the build environment, it is our obligation to collaboratively address our industry-specific productivity and business process issues as well as the our lack of significant progress relative to addressing environmental impacts. Truth be told, there is only one significant barrier to efficient AECOO practices and it is our existing culture of mistrust, lack of open communication, and reliance upon antagonistic construction delivery methods. The design-bid-build construction delivery method and associated practices such of awarding contracts to the lowest bidder do little more than a fuel to the fires of waste, protracted project timelines, change orders, and legal disputes. Also, focus upon symptoms such as lack of effective technology usage and associated interoperability issues, have done little to drive change. That said, it may be technology that is the acts as the catalyst to tear down the walls of mistrust and silos of independent groups and activities. Cloud computing and associated social networking have already begun to dramatically alter the world and stand ready to forcefully impact the AECOO community. A simplified, however, powerful definition of BIM is “the efficient life-cycle management of the built environment supported by digital technology”. 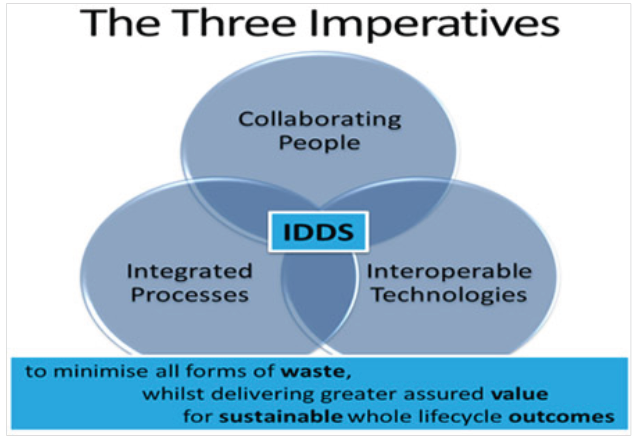 Achievement of this goal requires the integration of multiple knowledge domains and associated processes, procedures, and activities, which to date have been managed in isolation. While detailed knowledge of each domain will remain a challenge, sharing of critical information with multi-disciplinary impact can be achieved if communication barriers are removed. Cloud computing, social networking, and the associated use of integrated project delivery methods2 will provide the basic foundation upon with BIM will be enabled. An an actionable framework for professional AECOO collaboration, and increased productivity is on the horizon. The timing and success, however, is totally dependent upon transformational changes regarding the ways in which AECOO professionals communicate and deliver their services. 2-Current examples include integrated project delivery (IPD) for new construction and job order contracting (JOC). The latter is a form of IPD specifically targeting renovation, repair, sustainability, and minor new construction. 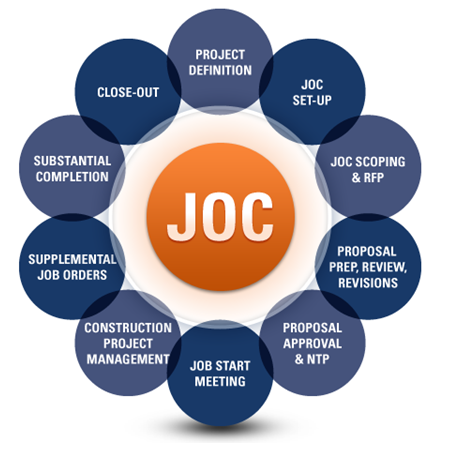 via 4Clicks Solutions, LLC – Premier software for cost estimating and efficient project delivery – Job Order Contracting – JOC, SABER, IDIQ, SATOC, MATOC, MACC, POCA, BOA, IPD …. and best implementation of RSMeans Construction Cost Data, including enhanced 400,000+ line items with detailed descriptions and modifiers. The value of BIM lies in the support of efficient life-cycle facility management processes supported by common terms and digital technology. The 3D visualization aspect of BIM is little more than an unfortunate distraction. When will BIM become mainstream? How do you truly prepare for BIM? How do we educate people for BIM? 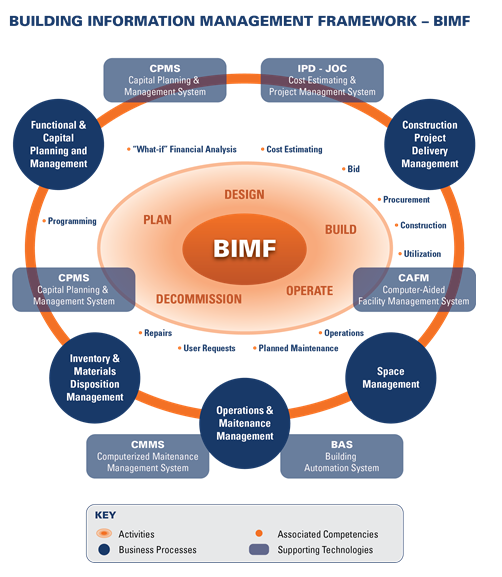 The most important requirement for BIM to succeed is fundamental change in how we view life-cycle facility management and also altered business practices within the Architecture, Engineering, Construction, and Operations sector. “Visual GIGO” (garbage in/garbage out), a term I picked up in a recent BIM conversation, is delaying our ability to better address sustainability and economic issues. BIM requires a change in the basic foundation of how Owners, AEs, Contractors, Subs, Oversight Groups, Building Product Manufactures, Community, etc. interact relative to construction project delivery. Integrated Project Delivery – IPD and Job Order Contracting – JOC are important to BIM as are other knowledge domains and/or practice areas. RSMeans Strategic Business Partner – Exclusively enhanced 400,000 line item cost data base. Critical components of CONSTRUCTION PROJECT success include communication, collaboration, a defined mutually agreed upon operating relationship and an associated fully defined project scope of work… all of which are largely determined by the construction delivery method. A thorough understanding and visualization of a project among Owners, Architects and Engineers, Contractors, and other shareholders defines scope, specifications, and is is the project delivery method that set the overall tone of interrelations ships among the project participants and shapes final outcomes. Field specific variables, such as weather, on-going operations, soils conditions, security, safety, site lay-out, environment protections and other contexts must be considered as well as the means and methods of work execution. These and other variables impact the overall cost, timing, and ultimate success of the project. Collaboration among all shareholders on the front end, and then throughout the project is the means by which multiple knowledge domains associated with a construction project are brought together to allow for visualizing the building the project prior to construction. For example, estimating a job requires knowledge about about the impact that AE, context, and execution scope have on each unit, assembly, and system level cost. Construction management is a process! Several exiting as well as newer, disruptive technologies are now enabling the cost-effective development, implementation, and monitoring of collaborative efficient construction management processes in lieu or traditional ad hoc procedures. The later being largely responsible for the decades long declined in productivity within the construction sector throughout America. While 0ur AECOO (architecture, engineering, construction, operations, owner) sector is resistant to change and relatively adverse to technology, the convergence of worldwide market drivers and the disruptive technologies that will change the very way we do business. However, the issues of (check one, or more) global climate change, dwindling non-renewal energy supplies, and/or the altered economic landscape, are forcing greater efficiencies. And, of course, buildings are a major consumer of petrochemical products… high energy users, and a primary source of green house gas and other emissions. These drivers to reduce environmental impacts as well as improve productivity will force relatively dramatic change. Relative to technology…. technology’s role in one of supporting processes relative to faster implementation/deployment, and consistent/scalable use. That said, cloud computing not only accomplishes the above more efficiently, but adds previously unattainable levels of collaboration and transparency. A “FACEBOOK for Facilities Construction and Life-cycle Operations” is on the horizon. Just think of the impacts that FACEBOOK and other social media had upon Egypt recently, and the power of cloud computing begins clearer. The next aspect is of course BIM. Once we get beyond the distraction of 3D visualization, BIM, combined with, deployed by, and practiced via cloud computing BIM will become a game changer. 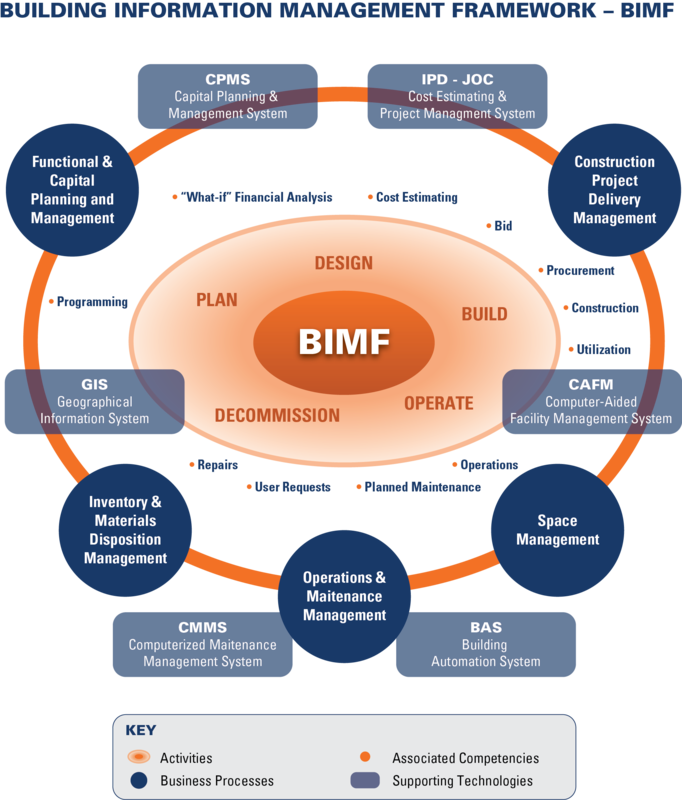 BIM definition, from NIBS, and I paraphrase, is the life-cycle management of facilities supported by digital technology. 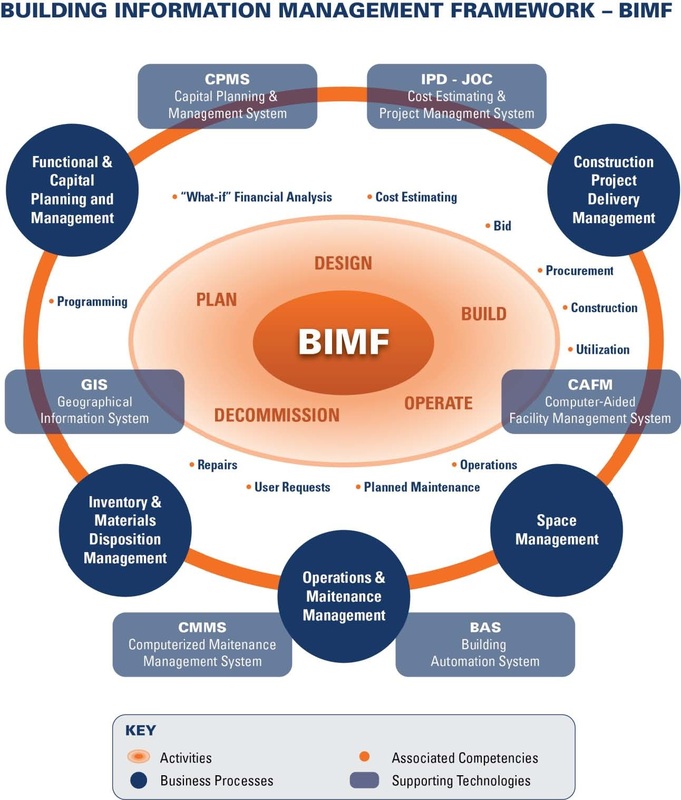 A glimpse of a strategic BIM framework (BIMF) from a process perspective is shown below. The integration of these activities, associated competencies, business processes, and supporting technologies via cloud computing is the foundation of BIM. -Construction Project Delivery Methods for NEW and EXISTING buildings, specifically Integrated Project Delivery (IPD) and Job Order Contracting (JOC) …, as noted above and below…. Job order contracting, known and implemented as SABER in the Air Force, one example of IPD, or integrated project delivery developed over twenty years ago within the DOD sector. It has only recently begun to be adopted and deployed in other sectors in an accelerated manor, including non-DOD federal government, state/county/&local governments, higher educations and large k-12 school districts, hospitals and clinics, as well as airports and transportation authorities. As an example of productivity improvements afforded by JOC. What typically took over a year to accomplish in months or even weeks. Furthermore quality is improve, change orders are reduced, and lawsuits are virtually eliminated. A comparison of IPD/JOC and tradition delivery methods is shown below. Thus, in summary, below is road map of where we have been, and where we are going. Let’s face it, LEED is a great marketing tool, but NOT the solution. 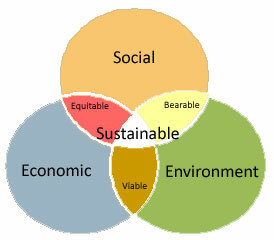 “Kudos” to LEED for building awareness and addressing the need to focus upon sustainability of the built environment! That said, high performance buildings should not cost significantly more that “typical construction”. The paperwork and methods involved in LEED add superfluous costs and will not necessarily yield optimal results. I have entered far too many LEED certified buildings with massive glass multi-story areas and other clearly “non-sustainable” items. There should be little to no cost premium for a sustainable building. Even now, studies show that a 2% premium is all that is required. I would further argue that no premium is really need should basic standards be a requirement and market efficiencies take hold. Also, over the life-cycle of a building, a sustainable, high-performance building will win on ROI every time as only 10%-20% of life-cycle cost go into construction, vs. operations, maintenance, etc. 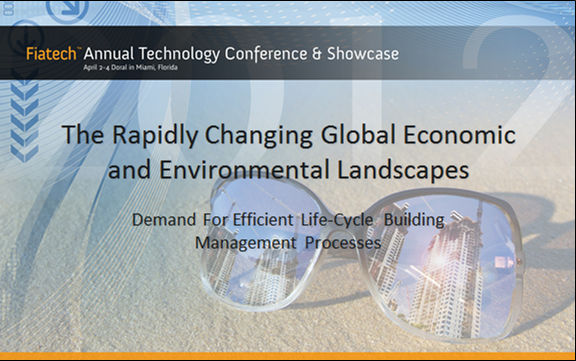 Efficient ongoing life-cycle management of facilities is the key to sustainability. It is probable that many, if not most LEED buildings constructed are no longer meeting their design goals. Why? They are simply not being monitored maintained on a proactive life-cycle basis. Why not? The culture of our industry and awareness of the true meaning of BIM need dramatic if/not disruptive change and improvement. BIM is the life-cycle management of the built environment supported by technology… not pretty 3D pictures that don’t link to value knowledge domains. 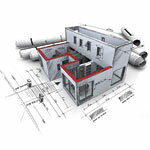 Further, collaboration is the key to BIM, and collaboration is dictated by AEC delivery methods. Traditional delivery methods such as design-bid-build (DBB) and even attempts at improving it such as design-build (DB) and construction manager at risk (CMAR) are flawed as they inevitably pit some of the key parties involved against one another. Integrated project delivery (IPD) and job order contracting (JOC), the latter “IPD-lite” specifically for renovation, repair, sustainability, and minor construction projects, are critical to BIM and to altering the inefficient and adversarial processes that dominant our industry today.